This, My third publication, is a collection of progressive Christian poetry that questions the modern evangelical theology that has cursed American houses of religion for centuries. The theology that said smokers are not welcomed, interracial marriage is not welcome, and in today’s society, says that the LGBT community can’t marry and that the love of Christ is conditional. I hope that in some way my poetry speaks to you, moves you into an action to love. Love so unconditionally it makes those in the chapel spew you out of their mouths with distaste. This book of poems is dedicated to you. 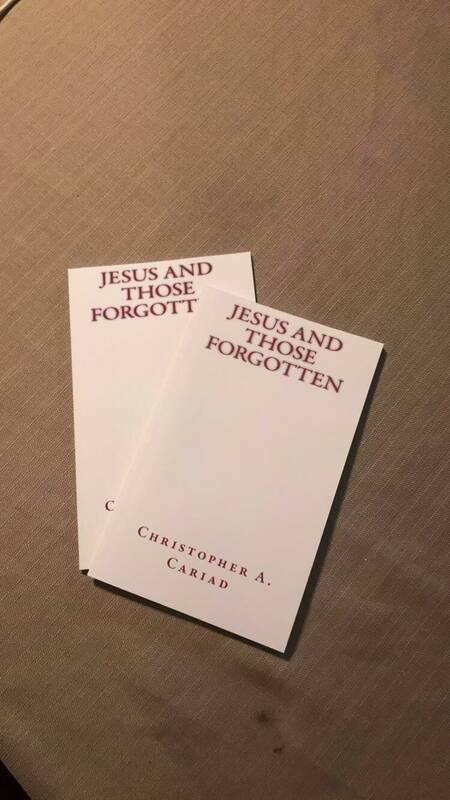 A Letter to Jesus by Christopher Cariad. 8x10 Photo Print. 5- 4x4 prints for 5 dollars! A shop of heartfelt poetry. What's not to love? One Christmas, One Story by Christopher Cariad. 8x10 Photo Print.